Despite dramatic changes in the New England landscape over the past 200 years, interviews reveal that most people assume it will look much like it does today in the year 2065. 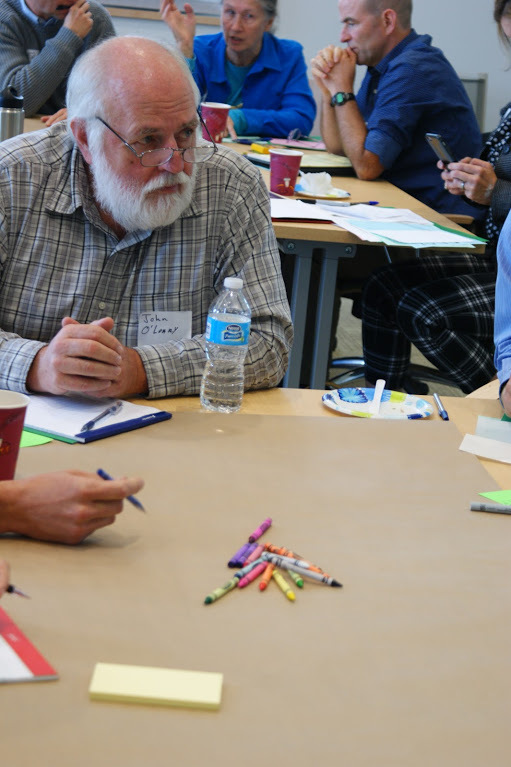 Through the S3 RCN university colleagues are teaming up this fall with partners in each of the six New England states to host a series of scenario-building workshops. The workshops will lead diverse participants familiar with the region through a series of steps to develop four possible but divergent scenarios of the New England landscape for the year 2065. The state-level outputs will be summarized into four scenarios for the entire New England landscape. Scientists in the S3 RCN will then model the different scenarios and quantify the impact of these scenarios on ecosystem services. In October, scenario-building workshops were held in four states:(1) Randolph, VT co-hosted by the Cold Hollow-to-Canada, (2) Westborough, MA co-hosted by the New England Forestry Foundation and LandVest, (3) Portland, ME co-hosted by the New England Environmental Finance Center, and (4) New Haven, CT co-hosted by Highstead and the Global Institute of Sustainable Forestry at the Yale School of Forestry and Environmental Studies. Look for upcoming posts where we’ll share the scenario-building protocol and the state workshop results. A big thank you goes out to our New England hosts and participants who have so graciously shared their time, expertise, and creativity with us!